Futurrex has a long standing history of enabling the design and manufacturing of telecom components, opto-electronics & photonics. 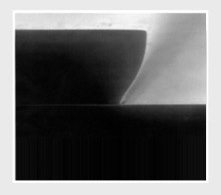 From refractive waveguides, refractive filters and microlenses to vertical cavity emitting lasers (VCSELs) and diodes, Futurrex solutions provide customers with unique processing capabilities allowing them to produce components at lower cost and targeting next-generation functions. Our solutions allow customers to process across a multitude of process windows and tools while also allowing customers to utilize a variety of substrates. 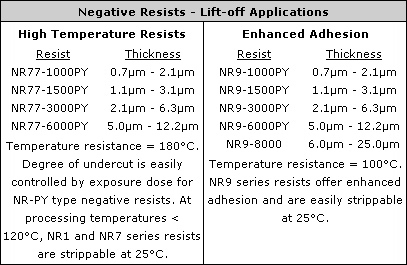 NR71/9-PY series negative resists for lift-off applications where advanced adhesion, higher throughput or higher temperature processing is required. NR71-P-series resists for high selectivity and temperature resistance in RIE. 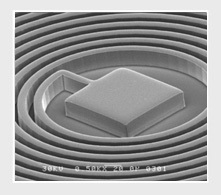 PR1-series positive-tone resists for patterning and etch applications. 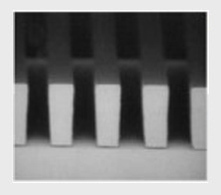 NR2-P series negative resists for extreme thickness applications of greater than 100μm where superb resolution is required.